From top left: Harley, Stella, Smoochie, and Bayleigh. 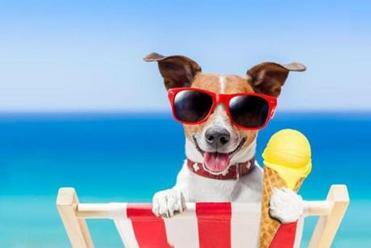 Find some fresh inspiration for outings with your best buddy by following the escapades of these popular pups on Instagram. 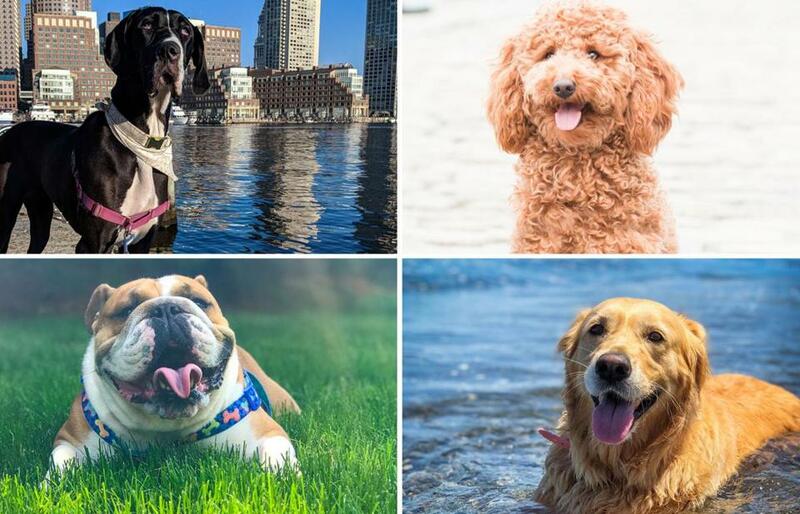 This 1-year-old mini goldendoodle’s teddy bear-like appearance may be the first thing that catches your eye, but her Instagram is more than just adorable — it features a variety of dog-friendly locations, from beaches on Ipswich Bay to city parks. Stella’s owner, Leanne Kollias of Woburn, says, “It started as a fun way to share our fur baby’s adventures, and for our friends and family to see what was happening in the world of Stella.” Some of her favorite places to play are Underground at Ink Block (beneath Interstate 93 at Traveler Street, between South Boston and the South End), Peters Park in the South End, and the MarketStreet Lynnfield shopping center. Is tongue out thursday a thing?